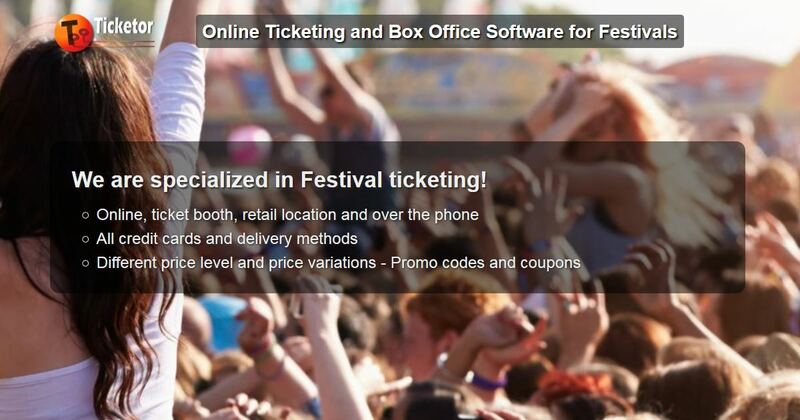 We are specialized in Festival ticketing! 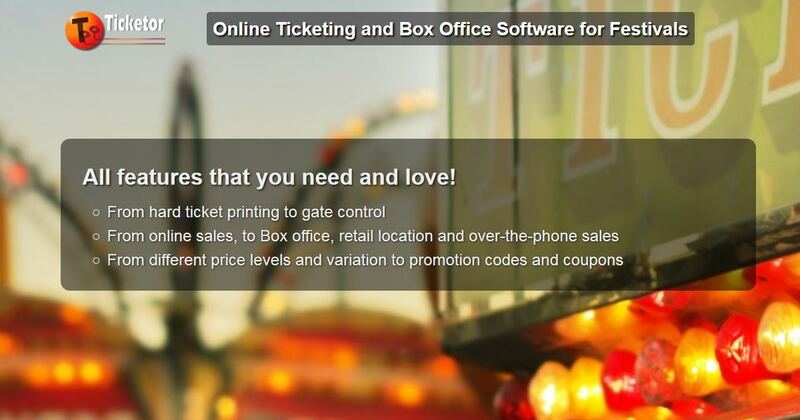 Use Ticketor for all your ticketing needs! All features that you need and love! 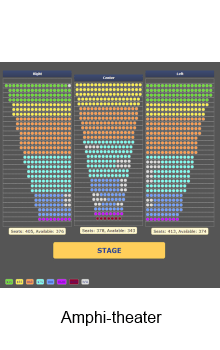 Why Ticketor & How Is It Exceptionally Different? Using Ticketor's Designer tool, anybody will be able to create a professional-looking website or page in a matter of minutes. No HTML or web design knowledge is required. Organizing an event involves a lot of costs. Most of them need to be paid in full or partially before the event. Renting a venue and instruments, artist contracts, insurance, advertisement and more. It means that you need to have a lot of cash or an expensive investor to plan your event. Well, Ticketor changes the game! 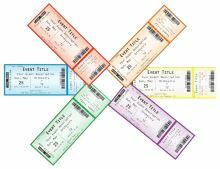 Using Ticketor, you will get access to the sales money directly and before the event. While other ticketing services collect the ticket sales money on your behalf and pay you AFTER the event, using Ticketor, sales money goes directly into your bank account through your PayPal or your Payment Processor. It means that you will have access to the sales money as tickets are selling and several days before your event. If you don't have a payment processor, don't worry. You can get one during the setup in couple minutes. 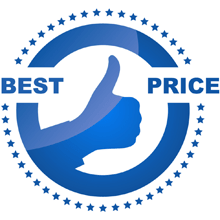 Check our prices and compare it with competitors. Review our case studies and see how we saved our customers thousands of Dollars just on one event. We offer the best rates in the industry by automating the process and putting you in control! Amphitheater, arena, round-table (dinner style), night-club, restaurant, etc. While other ticketing system impose charges on buyers that the organizer has no control over and often over-charge the buyer, using Ticketor, you, the organizer, control all charges and fees that a buyer would pay including Convenience fees and delivery fees. YOU decide how much you want to charge your customers. You may choose a small amount (maybe around 5%) to cover all your ticketing and payment processing charges and break even, or you may choose a higher amount to make money out of your ticketing service, or you may waive all charges. It is all your call! Have you ever been over-charged for convenience fees when buying tickets? Do you know how much a 3rd party ticketing site charges your buyers? Use one integrated system for all your ticketing needs. Your staff, sales agents, retail locations and over-the-phone agents can use Ticketor to sell. 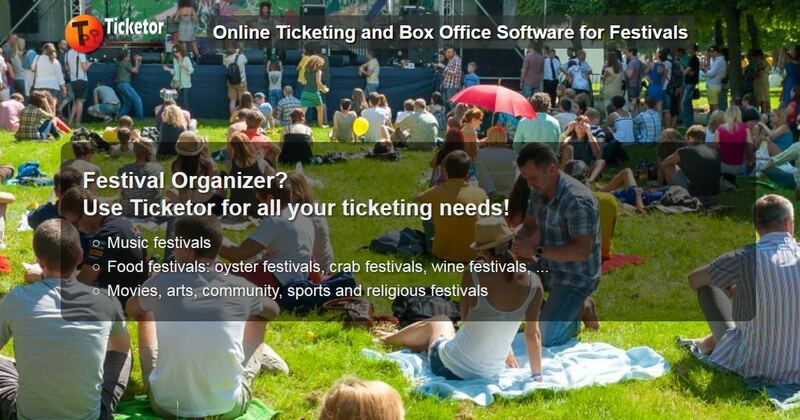 Well, Ticketor builds and manages your official website or probably replaces your existing one. It is a full featured website for your information, pictures, videos, blog, news and anything else you’d want to post. You won't need to pay for the maintenance and IT services anymore. Not even for hosting fees. Just build and manage the website by yourself. Do you have a website? Are you planning to build one? Or maybe you already have a website but are spending regularly on maintenance and update? Do you need an IT professional to make regular updates to your site?